You're the journalist, the writer and the editor of a newspaper. 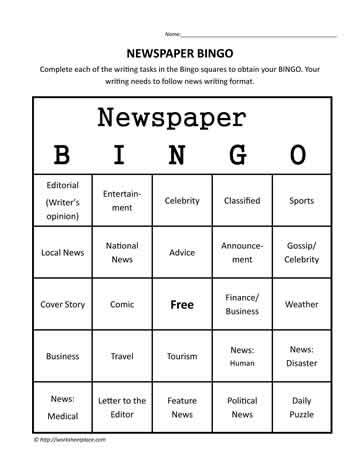 When you have written each piece of news on the bingo card, color in the blank. When you've completed writing each piece from the Bingo card, you get a Bingo.